An individual cloud service may need to be accessed by different types of cloud service consumers, some of which may be incompatible with the cloud service’s published service contract. Disparate cloud service consumers may be differentiated by their hosting hardware devices and/or may have different types of communication requirements. To overcome incompatibilities between a cloud service and a disparate cloud service consumer, mapping logic needs to be created to transform (or convert) information that is exchanged at runtime. The multi-device broker mechanism is used to facilitate runtime data transformation so as to make a cloud service accessible by a wider range of cloud service consumer programs and devices (Figure 1). For example, a multi-device broker may contain mapping logic that coverts both transport and messaging protocols for a cloud service consumer accessing a cloud service with a mobile device. 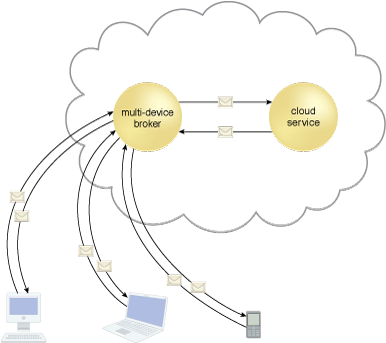 Figure 1 – A multi-device broker contains the mapping logic necessary to transform data exchanges between a cloud service and different types of cloud service consumer devices.